Spending some quality time with your kiddos on the weekends is most parent’s favorite time of the week. After a long week of work, you get to do fun activities with your kids and strengthen your bond. However, it is not always easy to find new and exciting activities to do with your children. Sure, you can always head to a nearby park, break out the craft supplies, or simply ride your bike around town. But every once in a while, you want to do something completely different and fun with your kiddos. We get it! That is why we are going to give you a list of fun places to bring your kids during your next day off with them. At Inch By Inch Child Care in Bedford, we focus on fun and education in our programs. We know that kids can learn while doing other activities like playing, observing, and practicing different skills. While we want you to have fun with your kiddos over the weekend, we want you to know that you can help them learn something new at the same time! 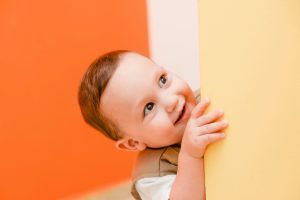 In this blog, we are going to talk about some of the fun places to bring your children that are also educational. You can spend some fun time with your kiddos, enjoy new and exciting activities, and learn something new at the same time! Read on to learn more and start making your weekend plans. Einstein’s workshop is a fun and educational place to bring your kids. While you can sign your children up for classes here, you can also do a drop-in visit and allow them to play with fun and education toys for a few hours. Your kiddos can play with building toys. They will have fun using different toys and using their imagination to create something new and unique. Your little ones can learn a lot while building with toys, develop fine motor skills, and have a great time doing it! This museum for kids is located just down the street in Acton. We know that it can be hard to find new things to do in such a small town, but Acton is not too far away for a day trip! The Discovery Museum is a fun place to bring your children and a great place for them to learn. With different workshops, events, and exhibits for your child to participate in, they are sure to learn something new every time you visit and have so much fun doing it. The Discovery Museum has both indoor and outdoor exhibits which can get your kiddos interested in different things. If you want to do some natural grocery shopping while spending time with your kiddos, Chip-in Farm is the place to go. This family owned and operated farm sells fresh eggs, grass-fed beef, Shaw Farm milk and ice cream, and more! So, why would you bring your kids here? Because they have a petting zoo of course! Your kiddo can feed goats, pigs, cows, sheep, bunnies, and chickens. You can get some of your grocery shopping done while they hang out with some amazing farm animals. Your kids will learn more about these animals and you can even sign them up for a farm class! This is a unique experience that is fun for your children and educational too. 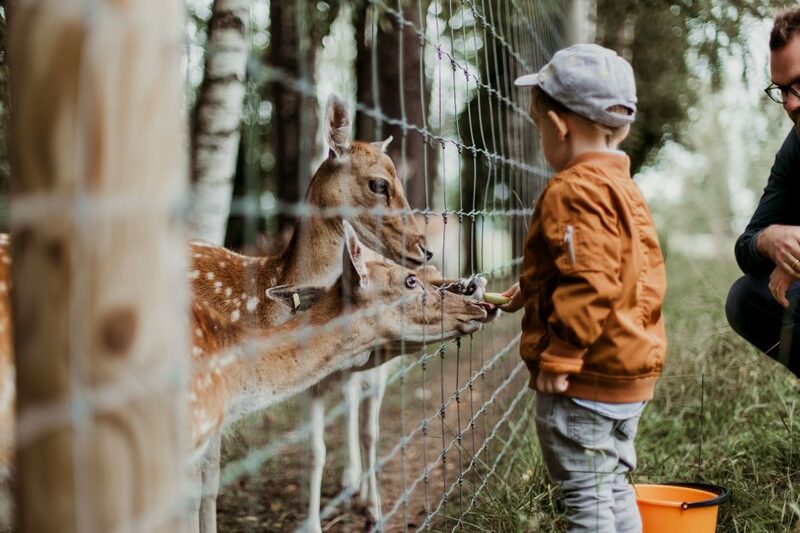 Does your kiddo love animals? Animal Adventures Family Zoo & Rescue Center is the place to go. Located in Bolton, just 45 minutes away from Bedford, this could be just the activity you are looking for on your weekend adventure. This zoo has a ton of different animals to see and your child will be able to learn so much about them all! Be sure to make it to a live animal show where zookeepers will bring out several of the animals for you and your kiddos to interact with! This is such a fun way to spend your weekend, it will surely not be a day your child will soon forget. The New England Aquarium is located about 45 minutes away from Bedford and is home to many different sea critters. This aquarium has it all! From a shark and ray touch tank, animal encounters, and an IMAX theater to the huge variety of animals to look at, your child will be entertained for hours. You may even find yourself getting excited about the fur seal exhibit! 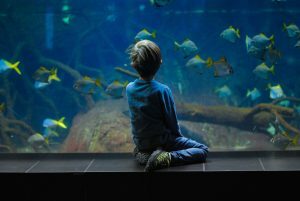 When children are able to see these unique and beautiful animals and sea creatures with their own eyes, they become so much more interested in learning about them. You and your child could both learn a thing or two during your weekend trip to the aquarium! While young kids may not be into history, this is still an awesome place to bring them! Located in Lowell National Historical Park, you will be able to spend the entire day in this unique location. This museum and the national park is full of hands-on activities, trolley rides, and a look into history. Historical places, such as this one, are great for kids because they give your child a look at what it was like before smartphones, department stores, and online shopping. We know your kids will love this and you probably will too! Who says you have to go somewhere fancy to provide your kids with a fun and educational time? Simply taking a walk through the beautiful Burlington Landlocked Forest is a great way to keep your children excited and entertained. Being in nature will stimulate their brains and get them curious about the world around them! Take a walk on the wild side and enjoy some great outdoors with your kiddos. You may realize that you also needed some quality time in the open air. These are a few of the many places around Bedford that are fun and educational for children. If you are looking for something fun to do this weekend, try out one of these new ideas! To keep your child interested in learning and working on their development, sign them up for Inch By Inch Child Care! Schedule a tour and contact us with any questions you may have.